As they look to the future, Colorado water managers face a vexing question: How to do more with less? A nearly 20-year drought in the Colorado River Basin has cut river flows to 80 percent of their long-term average and left the region’s major reservoirs less than half full. Scientists predict that climate change will worsen and prolong this trend. At the same time, Colorado continues to grow, with the Western Slope’s population projected to increase by nearly 70 percent by 2050, according to the Colorado State Demographer’s Office. How can Colorado supply water for new growth while bypassing sufficient flows downstream to avoid violating the Colorado River Compact? Still, if a drought as severe as the one that hit between 2000 and 2004 struck today, it could take more than 1 million acre-feet of demand management—far more than could be implemented in a single year—to keep Lake Powell high enough to generate power. Phase II of the study, completed in 2018, recommended that upper basin states create a water bank, where smaller deposits can be made annually and the balance can be drawn down in times of shortage. 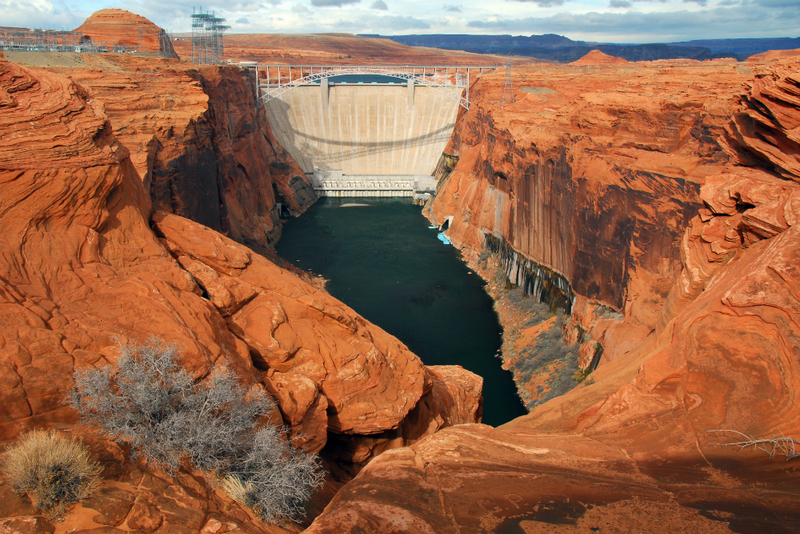 According to the study, banking 100,000 acre-feet of water annually would sharply reduce the risk of power generation or compact compliance issues, though questions remain about how to shepherd water downstream to Lake Powell past other would-be diverters. The third phase of the study, now underway, aims to refine estimates of how much these efforts can reduce risk, while also exploring how demand management might be carried out across Colorado. If the state were called upon to boost levels in Lake Powell, how would that be administered? The study will explore options, including curtailing post-1922 Colorado River Compact water rights according to the priority system, curtailing water use based on each river basin’s pro-rata share of total Colorado River depletions, or curtailing post-compact water rights evenly between the Western Slope and the Eastern Slope. For each option, the study will explore which water users would have to curtail their use, and for how long. Modeling should be complete by year’s end and could inform a future statewide demand management program.